For young Peony, betrothed to a suitor she has never met, these lyrics from The Peony Pavilion mirror her own longings. In the garden of the Chen Family Villa, amid the scent of ginger, green tea, and jasmine, a small theatrical troupe is performing scenes from this epic opera, a live spectacle few females have ever seen. 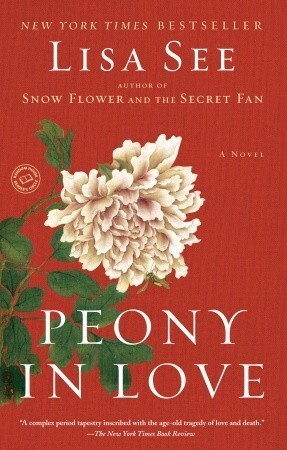 Like the heroine in the drama, Peony is the cloistered daughter of a wealthy family, trapped like a good-luck cricket in a bamboo-and-lacquer cage. Though raised to be obedient, Peony has dreams of her own. I bought a copy, at least five or six years ago. 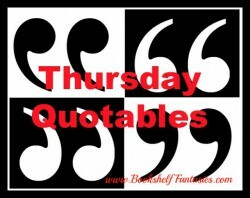 I’ve read at least three other books by Lisa See, and have loved them all. This is one that just got away from me — I always meant to get back to it, and never did. I love the sound of the ghostly elements, and can’t wait to check it out. This has been quite the year for me and Seanan McGuire. I was a fan of her Wayward Children books already, but this year I obsessively consumed her October Daye and Incryptid series — so of course I had to read the Ghost Road books too. 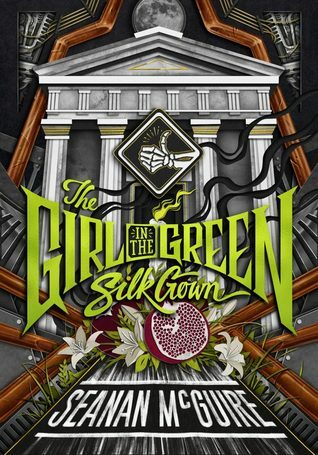 The Girl in the Green Silk Gown is the sequel to the 2014 book Sparrow Hill Road. I first started Sparrow Hill Road about a year ago, and couldn’t get into it. This year, in the midst of my Seanan McGuire frenzy, I decided to give it another try, and actually enjoyed it — enough so that I was keen to read The Girl in the Green Silk Gown as well. This book is the continuing story of Rose Marshall, who was killed in a car crash on the way to her prom back in the 1950s, and has haunted the highways of North America ever since as a hitchhiking ghost. Rose is the stuff of urban legends, who escorts doomed drivers to their afterlives but also helps those that she can to avoid a deadly fate. All the while, she’s been on the run from Bobby Cross, the driver who killed her, and this time around, it looks like he finally has her trapped. Sparrow Hill Road is more like a bunch of interwoven stories that make a whole, whereas The Girl in the Green Silk Gown is a novel with a beginning, middle, and an end. 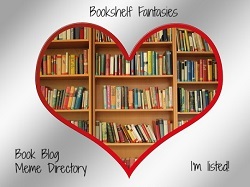 It’s a hero’s journey, an epic quest, and a story of belonging and home. Rose makes unusual choices, accompanied by unexpected friends and allies, and has both bravery and kindness to see her along her way. The ghostly elements aren’t scary — this isn’t a horror story — but create an atmosphere that’s otherworldly and strange and (yes) haunting in the best sense of the word. For those who haven’t read Sparrow Hill Road, I’d say start there — but you can also start with The Girl in the Green Silk Gown, as there are enough reminders and exposition to get you up to speed even without prior familiarity with the general story. 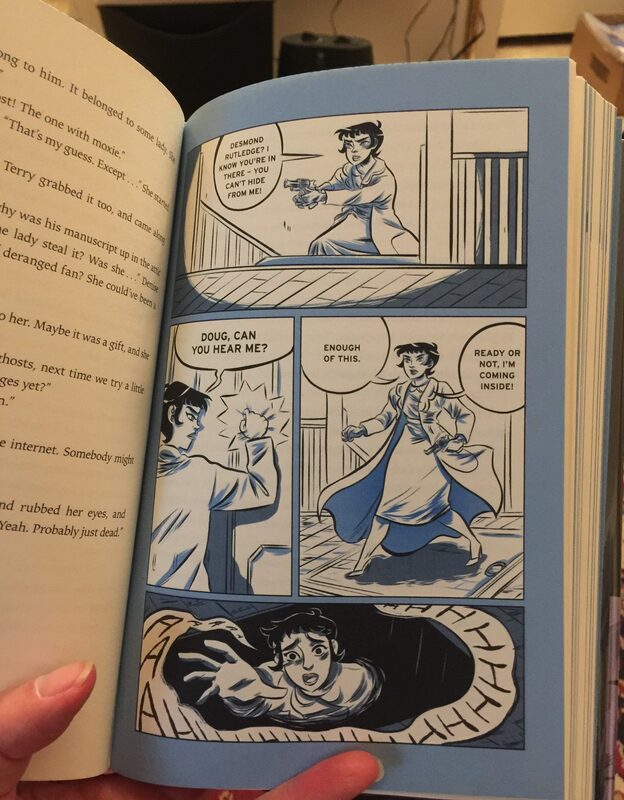 Also, for those who’ve read the Incryptid books, you’ll see some familiar names popping up in this book. Not being familiar with Incryptid won’t get in your way at all, but if you have read those books, you’ll smile in recognition at least a few times. Rose Marshall is a memorable lead character, and I hope we’ll see more of her! 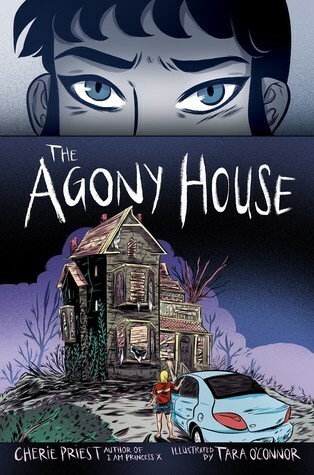 It’s hard to describe this lovely, haunting novella full of ghosts and yearning and unfulfilled needs. The writing is absolutely gorgeous, and the concepts underlying the story are original and quite moving. 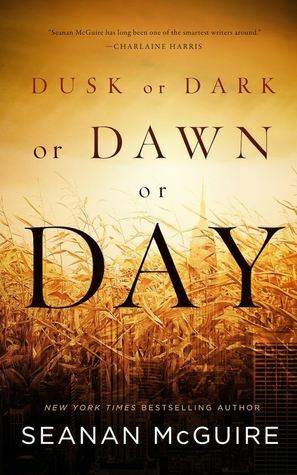 First and foremost, Dusk or Dark of Dawn or Day is a ghost story. Set in our every day world, the story tells the tale of ghosts among us. They live (sort of) and work and spend their days and nights alongside the living, going through the years looking for meaning or redemption or even escape. Jenna is our main character, a ghost who died accidentally as a teen, right after her sister Patty’s suicide. Ghost Jenna comes to New York looking for Patty, but fails to find her. What she finds instead is a “life” of her own. She works as a hotline volunteer, lives in an apartment building with a ghost for a landlady, and frequents a local diner for its coffee, pie, and interesting visitors. In this ghostly version of our world, ghosts must take the time they need to reach their intended death date, at which point they can finally move on. They don’t know how close they are until they’re almost there. As they take minutes, days, or even years from the living, the living grow that much younger while the ghost becomes older. For Jenna, she feels she’s taking something that must be earned, and so she limits herself to taking time in proportion to the minutes she spends doing good in her volunteer work. The main thing for Jenna is to join Patty, and she yearns to finally get enough time to make it there. I just loved the concept of taking and giving time. Our world is peopled with ghosts trying to move on, and it’s simply sad and sweet to see the longing and wistfulness that fills their days. Alongside the ghost population, there are witches of all sorts, defined by their source of power. A corn witch, for examples, draws her strength not just from fields of corn plants, but anything within reach that contains corn or corn products. Some of the witches’ power sources are shocking, to say the least. The witches and ghosts have a dangerous relationship, as witches have the ability to both steal time from ghosts, staying young seemingly forever, and to trap ghosts in glass and hold them prisoner, keeping them from moving on. Again, as with the ghosts and their time banking, the concepts behind the witches and their powers in this novella are unusual and mind-bending and a bit scary, to be honest. 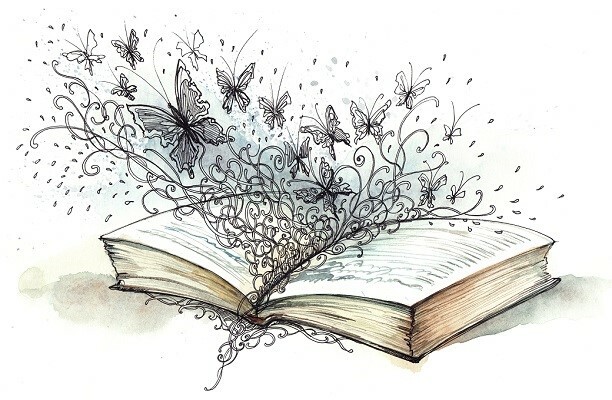 The world is full of stories, and no matter how much time we spend in it — alive or dead — there’s never time to learn them all. It’s two o’clock by the time I leave the diner. The frat boys and tourists are gone, and the homeless have gone to their secret places to sleep, leaving the city for the restless and the dead. I walk with my hands in my pockets and the streetlights casting halogen halos through the fog, and I can’t help thinking this is probably what Heaven will be like, warm air and cloudy skies and the feeling of absolute contentment that comes only from coffee and pie and knowing your place in the world. He loves that phrase, “time is money,” and uses it every chance he gets. Sometimes I wish I could make him understand how wrong he is, that time is time and that’s enough, because time is more precious that diamonds, more rare than pearls. Money comes and goes, but time only goes. Time doesn’t come back for anyone, not even for the restless dead, who move it from place to place. Time is finite. Money is not. We’re just part of the background noise, and all the talk in the world of ghosts and witches and hauntings won’t change that. No one believes in things like us anymore. There’s freedom in that. The plot’s climax becomes somewhat convoluted and dense, and the actions of some characters didn’t make much sense to me. But it actually doesn’t matter a whole lot, truly. It doesn’t have to make complete sense to still be a treat for the senses. That said, I wish this had been a full novel-length work rather than a novella. While the novella’s structure and brevity give it a certain elegance, there’s so much here to take in and savor that I wish parts had more room to breathe and that the ghost- and witch-inhabited world of DDDD could have been more explicitly built out. Dusk or Dark of Dawn or Day is a beautiful work that will stay with me for a long time. The writing is gorgeous, and just cements my admiration for the writer. For more by Seanan McGuire, I strongly recommend the equally lovely Every Heart a Doorway, and can’t wait for its sequel, Down Among the Sticks and Bones, to be released in June.